The St Vincent’s Otology and Skull Base Unit runs an extensive Adult Cochlear Implant Program at the Public and Private Hospitals. The implant surgeons Prof Paul Fagan, Dr Philip Chang, A/Prof Nigel Biggs and Dr Sean Flanagan have extensive experience in cochlear implantation and work closely with specialised audiologists. The program performs both routine implantation as well as management of complex cases where the surgeons experience in managing advanced skull base pathology allows safe and successful results. The best known implantable hearing device is a cochlear implant. The first such implantation in Australia was carried out in 1977 by Dr John Tonkin of the St Vincent’s ENT Department. The single channel device used at that time is now regarded as very crude. Since then, major advances in electronic and computer engineering have taken place. These early cochlear implant patients heard sound, but were unable to interpret speech. It proved to be a great help when driving in traffic for example, and a major aid to speech reading (lip reading). Modern devices have 22 channels bringing about an enormous increase in the ability to interpret sound. Many patients can use the telephone. Indications for surgery are much more liberal than previously, so that people with lesser degrees of hearing loss are being successfully implanted. Traditionally patients with severe to profound hearing loss in both ears were candidates to receive a cochlear implant. 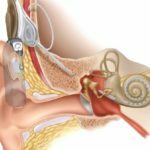 Due to improving technology and surgical technique, patients with a reasonable degree of residual hearing are now gaining significant benefits with cochlear implants. The commonest situation in adults is having the worst ear implanted to work with a hearing aid in the other ear. Implantation in both ears is now also routine for appropriate patients. The most recent development in cochlear implantation is in the treatment of single sided nerve deafness. Whilst devices rerouting a signal from the deaf ear to the normal ear, such as a BiCross hearing aid, or BAHA (Bone anchored hearing aid, Cochlear Corporation), Bonebridge (Medel Corporation) have improved overall hearing performance they do not allow recovery of directional sense. 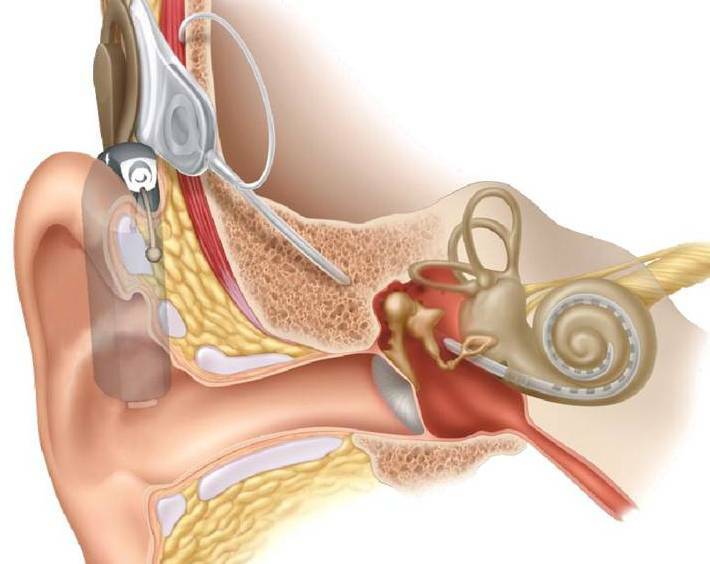 Placing a cochlear implant into the deafened ear allows stimulation of that ear, and possible return of the ability to determine where a sound is coming from. It does require an extended rehabilitation and does require a very motivated patient, as the brain has to learn to assimilate the input from the implant and the normal hearing ear. The use of the cochlear implant in single sided deafness is particularly useful when there is severe tinnitus in the deafened ear. The NSW state wide infant screening hearing program, SWISH, involves an automated hearing test for all babies born during their first few days of life. The aim is to identify all children with significant bilateral permanent hearing loss by the age of 3 months. It is in those children that consideration of cochlear implantation is made. While traditionally the goal was to implant children with severe deafness before the age of 2, bilateral concurrent implantation is often planned as early as 6 months of age. Children identified with a significant hearing loss are referred for multidisciplinary assessment at organisations such as The Shepherd Centre. 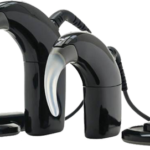 Most patients with nerve deafness are appropriately treated with finely tuned hearing aids. When maximally fitted hearing aids are no longer able to provide a good level of hearing a formal cochlear implant assessment is organised. This involves assessing the ears ability to hear tones, with and without hearing aids, and more importantly assessing the ability to understand speech, with and without hearing aids, each ear individually and then together, as well as removing any visual clues. 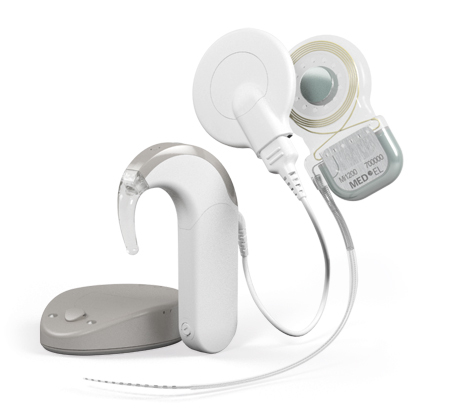 Once this is done the true functional level of the hearing can be measured, and a decision made on whether a cochlear implant is likely to improve overall hearing performance. The Otology and Skull Base Surgery Department at St Vincent’s Hospital Sydney has a vast experience in cochlear implant surgery. Whilst most cochlear implant surgery is now routine, the surgeons experience in managing highly complex problems of the ear and skull base allows safe and effective implantation in patients who have had prior problems. The implant consists of two parts, the implanted electronics package (including the electrode array and internal receiving coil) and an external device called the speech processor. The internal electronics package leads to an electrode array which lies in the cochlea (the inner ear) (Figure 1). Current flowing through the implanted circuit stimulates the branches of the nerve of hearing (cochlear nerve) which conduct this information to the brain. The external device consists, in essence, of a digital sound processor, batteries, a microphone and a transmitting coil. The speech processor uses small microphones to pick up sounds, turns those sounds into a signal and sends them to a transmitter. The transmitter sends the signal through the skin to the internal implant according to the principles of electro-magnetic induction. The internal implant converts the coded signal into electrical energy and sends it to the electrode array. This stimulates the nerve fibres and the signals are recognised by the brain as sound. Cochlear CI422 implant. This implant has a fine, straight electrode that is designed to minimise trauma, and preserve residual hearing. 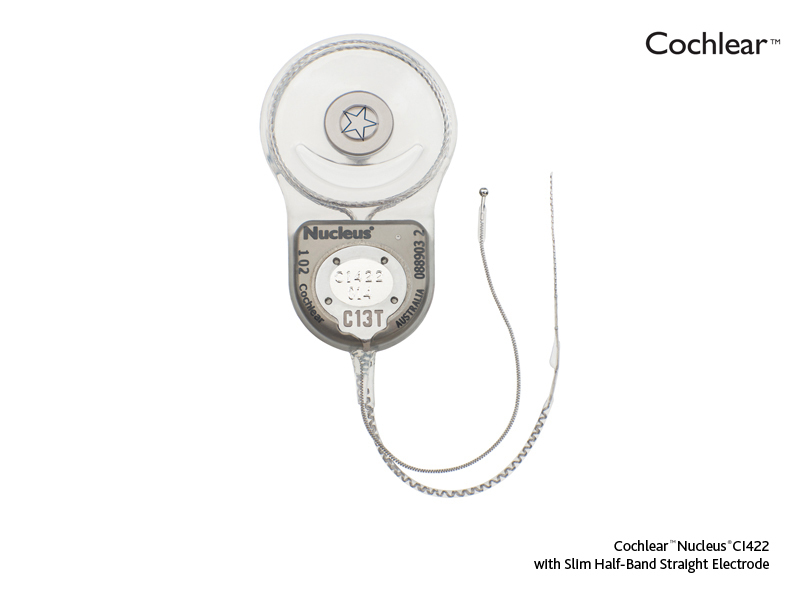 Cochlear Nucleus 6 sound processor. 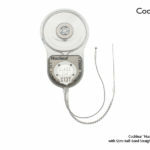 The newest external processor released by cochlear. 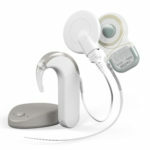 Also allows true wireless connectivity and integration with a standard hearing aid in the other ear if required. Synchrony Implant, Sonnet behind the ear processor and Rondo single unit processor. Latest implant and processors from Medel. The operation is carried out through a small incision behind the ear. Most patients are admitted on the morning of surgery and discharged the following morning. Only minor discomfort is expected, and the patient can wash their hair after 48 hours. Thereafter no special post-operative care is required until “switch on”. We are now often switching on the device the day following surgery, allowing the patient to start auditory rehabilitation as they leave hospital. This is the first of a series of sessions in which “mapping” takes place, allowing fine tuning and optimisation of the hearing. There are ongoing significant advances in implant design, with thinner implants and electrodes allowing better preservation of residual function. The external processors are also reducing in size, whilst improving in processing power. 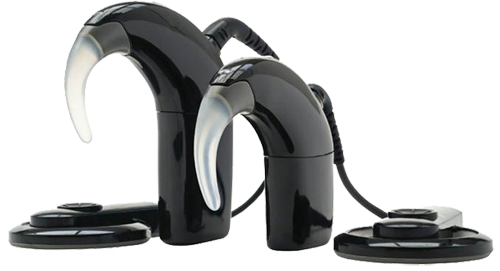 Release of single unit, or off the ear processors is also an exciting development.